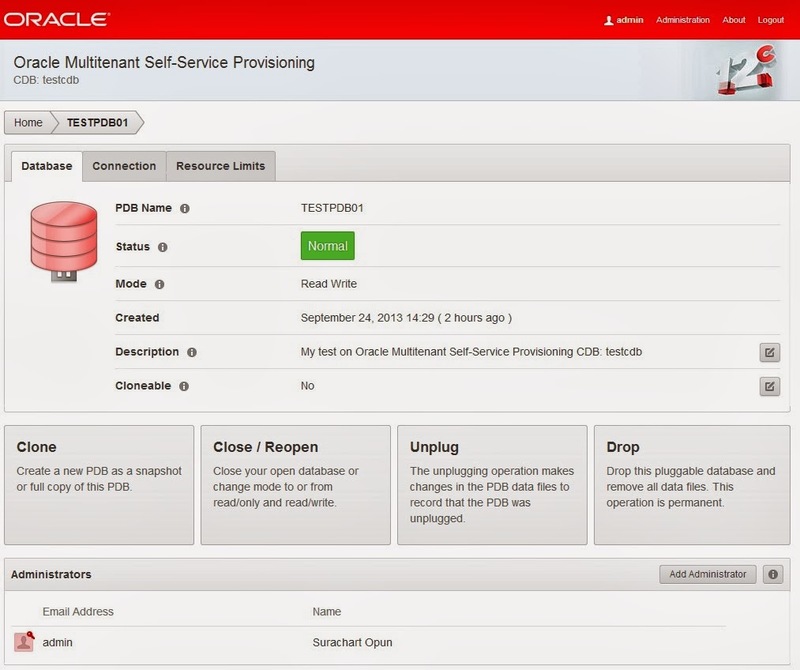 Previous post, I wrote about Multitenant Self-Service Provisioning (BETA) - Database 12c. It's very useful.for learning PDB. After installatuon by using pdbss_ins.sql script, "APEX" pdb was created. Anyway, I didn't explain more what happened after using pdbss_ins.sql script. Readers can test and read it by themselves. 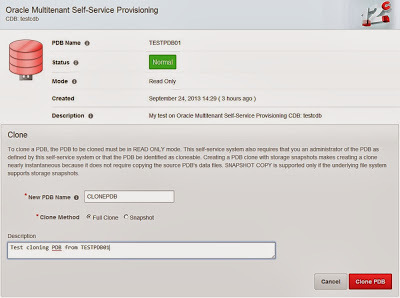 Previous post, I wrote about creating PDB. 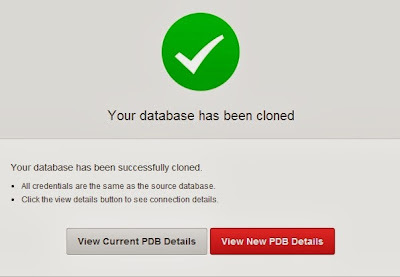 So, This post is about Cloning PDB (TESTPDB01). 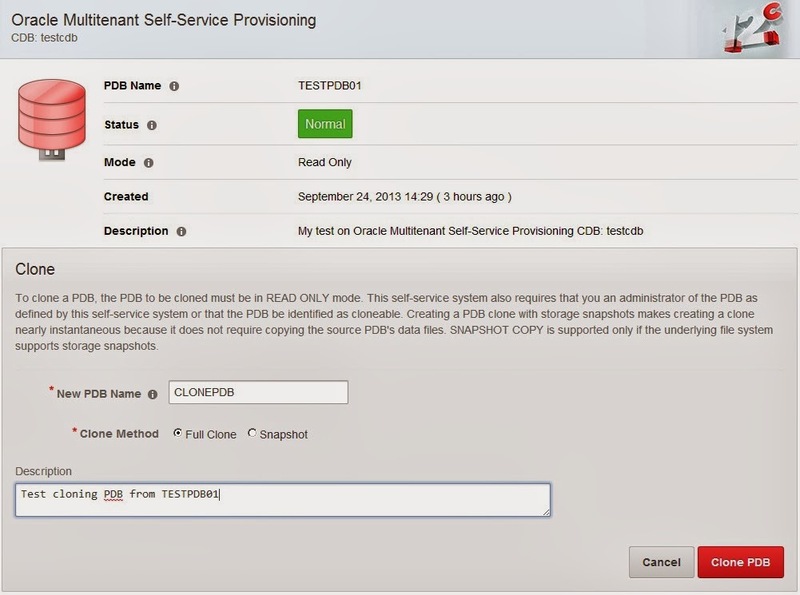 PDB status was "READ WRITE", Changed to "READ ONLY". When selected on "Clone".... It asked to change PDB status. Selected "Clone" again, then found as below picture. Now, CLONPDB pdb was created.